One of the most valuable tools in my post tax credit “Seller Stimulus Package” is the Seller Interest Rate Buydown Program. 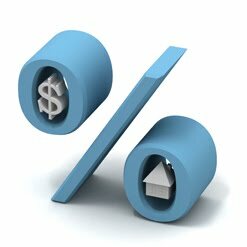 Buying down the interest rate is a outside-the-box strategy that can save the seller thousands, save the buyer thousands, and even help the buyer qualify in some situations. Furthermore, you help preserve home values by NOT dropping the sales price. In most cases, with FHA and USDA loans for example, you can get up to 6% seller contributions, allowing the seller to pay closing costs AND interest rate buy down points. With a FULL-SHIFT in power from a seller’s market to a buyer’s market, both buyers and sellers need to re-evaluate the “best” approach to a transaction (CLICK HERE for a live example of savings for the buyer and seller – page 3 of the packet). The example below takes a typical 3% “closing cost credit” and uses it instead to buy down the interest rate (4% instead of 3% to get a full 1% interest rate reduction). You will see that the seller saves thousands of dollars by NOT having to drop the price for the borrower to attain the same low monthly payment. Whether you are a buyer or seller, this is a win-win option that is worth discussing. Banks offered this program in the 1980’s when interest rates were in the teens. As a result of a booming real estate market in the early 2000’s followed by a shift and collapsing real estate market in the past two years, this brilliant strategy has gone over-looked… If you are a Realtor and would like a personalized “Seller-Paid Rate Buydown Flyer”made for your listing, just email me at dan.mortgageadvisor@gmail.com and I will make sure that you have a custom flyer the same day!